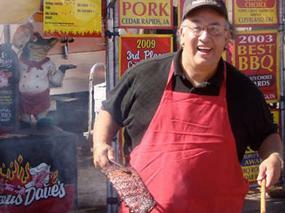 Dave Anderson is the founder of Famous Dave’s of America, the legendary BBQ franchise, with over 170 restaurants and growing. Voted the “Hottest Restaurant Concept in America” by Nation’s Restaurant News, Famous Dave’s has received unprecedented recognition. Anderson has helped found several publicly traded companies on Wall Street and created over 20,000 new jobs. In Dave’s own life, he has experienced adversity, frustration, and bankruptcy as well as tremendous success. Dave’s life story is featured in two New York Times bestsellers. He has served two Presidents and three governors in advisory positions. David has provided key testimony before Congress and the U.S. Senate. Always tackling the impossible, this bottom half of the class high school student has earned his Master’s Degree from Harvard University without an undergraduate degree! He has appeared on all major networks including: Regis and Kathy Lee, Oprah Winfrey, CNBC The Next Big Idea with Donny Deutsch, Crook & Chase, the Discovery Channel, the Food Network, National Public Radio and over 300 radio shows. As a highly sought after keynote speaker, Dave shares his heartfelt optimism using his life’s story to share valuable insight and life lessons in dealing with today’s fast changing and challenging world. Dave is an enthusiastic advocate of the American Dream, he stresses that no matter how tough things may seem today, if you never give up your dream and work hard tomorrow’s rewards will always come. 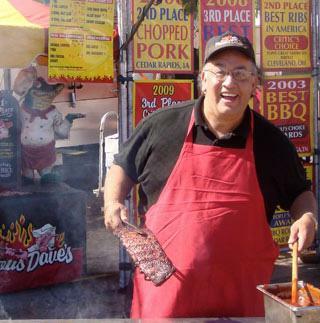 About David W. Anderson: As a Native American, Dave devotes his life to making a difference in his community and in the lives of others less fortunate. Oprah Winfrey’s Angel Network recently recognized Dave’s leadership development work with at risk youth.